"Fabry's latest could have been too heavy due to the subject matter and the tumultuousness of the time period, but his superior writing skills make it more of a nostalgic, sweet tale. There are some frustrating, disturbing moments where individuals and groups of people are not treated well, but in the end, good wins out over evil, and it is clear that no one is beyond redemption. This is a fast-paced read with many endearing characters." "This is a well-crafted novel with sympathetic characters, gently woven themes, and evocative descriptions. As a reader I became thoroughly immersed in the world of Dogwood and the lives of Matt and his friends. Fabry is skilled at portraying the real-life faith struggles of real people, and he manages to avoid the gravitational pull toward a clichéd ending." "[In this] soul-searching novel of faith, friendship, and promises, Chris Fabry invigorates the small-town lives of three teens in 1970s West Virginia with his exquisite, lyrical writing. . . . A literary delight . . . this novel is worthy of a standing ovation." "What first appears to be a story of childhood love is actually a tale of secrecy, sacrifice and family. Chris Fabry's The Promise of Jesse Woods details a life-changing summer. In 1972, new to the town of Dogwood, West Virginia, pastor's son Matt finds common ground with two other outcasts: Jesse Woods, a girl from a poor family, and Dickie Darrel Lee Hancock, a mixed-race boy. Matt forms a particularly quick bond with Jesse, whom he is determined to protect, no matter the personal cost. A serious trauma severs Matt and Jesse's friendship, and after years of silence, he must return to understand what else was lost that summer. "Matt's strong voice is rivaled only by Jesse's resolve, and readers will cheer her fortitude. 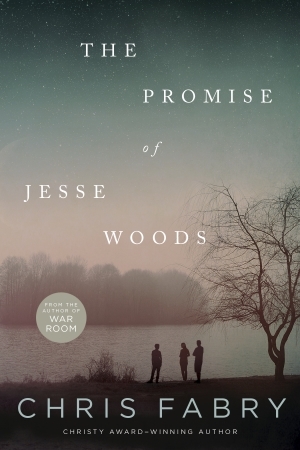 This poignant story is worth the heartache: Complex and layered, The Promise of Jesse Woods goes beyond a youthful promise to center on a bond renewed by a desire for truth."  "Christy Award-winner Fabry (Every Waking Moment, 2013) presents an unlikely trio in Matt Plumley, an overweight preacher's kid; Jesse Woods, considered 'white trash' by the good people of Dogwood; and Dickie Darrel Lee Hancock, a mixed-race youth whose father is serving in Vietnam. They're all social outcasts, bullied and discriminated against because they're different, mostly by the town's self-professed 'Christians,' who use their religion to justify their bigotry. Told from Matt's viewpoint, the chapters alternate between his arrival in Dogwood in 1972 and his return in 1984, when he tries to rescue Jesse from what he considers a disastrous wedding. This riveting, no-punches-pulled coming-of-age tale is reminiscent of Richard Bachman's (Stephen King) short story 'The Body,' which was made into the movie Stand by Me." "A tender coming-of-age story of first love, innocence lost, and the soul-freeing power of truth." "For anyone who likes getting in on something good from the get-go, this book is the next To Kill a Mockingbird. It felt like the child of the classic, all grown up and refocused for today's reader." "The Promise of Jesse Woods reminds me of To Kill A Mockingbird in the way it touches on racism, poverty, and justice, but Fabry also weaves in a beautiful faith thread which never feels forced. It's lyrical yet also down-to-earth. Deep yet never overwhelming. This is real-life storytelling that's effortless to read and will leave you wanting more from Fabry's pen." "There is something about Chris' writing style that makes me comfortable. I would say that he writes with a Mayberry feel to it. A place we all want to go home to. . . . Do yourself a favor, if you haven't read any of Chris' books, grab one, get started and find yourself at home in Dogwood, West Virginia." "The writing in this novel is superb. It has vitality, a fantastic use of imagery, and a wonderful way of capturing the essence of a character or a situation with one or two well-chosen, and often pithy, observations."